It seems the topic of resilience is coming up more and more on the heels of the latest three-part report from the Intergovernmental Panel on Climate Change (IPCC). Pundits, business leaders and journalists are asking questions like: How can we keep up with an increasing population? What does the threat of climate change mean for our society, and how can we remain resilient? Is it possible to prosper in a resource constrained world? These are just a few of the issues addressed by author, speaker and consultant Andrew Winston in his new book, "The Big Pivot." While most conversations surrounding resilience to climate change and resource constraints end in hypotheticals and not much else, Winston's argument is concise and constructive. In less than 300 pages, he not only breaks down the risks businesses face in a changing world, but also provides clear direction on the strategies and tactics that will help companies meet these risks head on. I had a chance to speak with Winston, who also advises some of the world’s biggest companies on environmental strategy, about his new book--and the mega-challenges that are on everyone's minds. TriplePundit: When did you decide this was a story you wanted to tell and this was the time you wanted to tell it? Andrew Winston: It was after Hurricane Sandy in the fall of 2012 that I felt that I really wanted to say something more than I've said before. I hadn't written a book for a few years at least; "Green Recovery" came out in 2009. And I just felt that the science has been getting harsher and clearer over the last couple of years. It was pretty clear already, but it got clearer. Then with things like Hurricane Sandy--and that was a personal thing because I was in the middle of it in Connecticut--the urgency kind of hit me. I kind felt like we're running out of time--that the impacts of climate in particular are right now, and the resource constraint stories were starting to really pop up as well. These two related mega-challenges were just kind of taking over and becoming serious threats to our society. I felt that all of my previous work--or most of it, "Green to Gold" in particular--was telling the story of why green was good for business: what works and what doesn't when you're trying to go green and how to think about value creation. And those are all really important things, but that in a way tells you which direction you need to head. It doesn't tell you how fast you need to go, and it doesn't really challenge business at a fundamental level. It kind of still basically works within normal business framework. So, I thought with the stuff that's happening now, there's just no way that the way we operate--the way business runs--is going to handle this. It was a bunch of things coming together and realizing that we're not going as fast as the science says. And that's starting to really paint a dire picture for society and for business, which people forget sits within society--not the other way around. 3p: Your first mention of a 'big pivot' moment is the metaphor of a wake-up call for someone to lead a more healthy lifestyle--maybe a doctor noticed high blood pressure or high cholesterol, shocking the person into action. 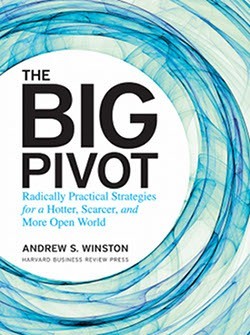 For someone who hasn't read your book, what does the 'Big Pivot' mean for business, and why is it important? AW: I use the metaphor in the book of health warnings--that you don't want to wait until you actually have the heart attack to start changing your behavior. The equivalent is that we're getting these warning signs: We're getting high blood pressure readings; we're out of breath as we try to chase a ball around; we're getting these danger signs. It's always challenging to ask: Why now? Well, because it's getting too late to do it later, which is knd of the macro answer. But at the micro level, there are a lot of companies I work with where the signals they're getting are very real and very impactful--the cost of doing business is rising pretty dramatically. General Mills in their last quarterly report said that due to the extreme winter they lost 62 days of production ... and this cost them a significant amount for their earnings for the last six to nine months. This is the time because the costs are starting to hit, but it's not so devastating that we don't have the resources to react. We're getting those warning signs, but we're not having the heart attack yet in most businesses. So, now is the time to get healthier before things get ugly ... It's challenging. You're talking about strategic choices and looking past this quarter, and that's very hard for companies to do--which is why I spent a lot of time on short term-ism in the book. 3p: Speaking to that, in practice, how would this 'Big Pivot' affect a company's bottom line in the short and long term? Is the holdup the fact that these changes are too expensive? AW: It depends on what we're talking about. There's a whole range of things companies do that save money very quickly--and a lot of money, and a lot of energy and a lot of carbon. The story I tell about Diageo is the perfect example because it's both short and long: They cut their carbon by 75 to 80 percent in North America, and they cut 50 percent of that all through low- and no-cost initiatives. That's not only not prohibitively expensive--it's good business; it's the opposite of prohibitively expensive. Then they took the leadership choice to take another 30 percent of their footprint down by investing in landfill methane from a place near one of their Canadian facilities. So it's not expensive. That's the big myth. The point is that it's getting increasingly expensive to not do this. If resource prices keep rising as they do, then not getting more material efficient, not building a circular economy, not finding ways to de-materialize, is going to get more expensive ... There are always going to be investment choices, but that's why I have a couple of different chapters around valuation and about asking what we mean by 'return'. What do we mean by 'expensive,' and what's the value we're creating? Even if we do things that cost more up-front, there's a whole bunch of value that we don't measure currently in business. If you're not measuring value right, you're underinvesting in the things that create value. 3p: How can we create value around these hard-to-measure resources? Will we ever get there? AW: That's the biggest challenge. I talk in the book about two different categories of things that we don't put numbers on. [First is] the natural capital, and we're getting better and better at putting numbers on that. There are some really good economists and NGOs working on it, and there are some basic estimates of what it costs society. But getting that into business? Until it's actually priced in the marketplace--priced by either regulation or by self-regulation--it's just so hard to see why a company is going to take it into account. The other category of indirect value includes things like employee retention, risk reduction or resilience, or a hedge against fuel prices. What's changing is these challenges are getting so big and so systemic that the things that [were once] external are becoming internal. Climate change is not some theoretical cost of carbon down the road, it's a hurricane destroying part of New Jersey. There's a physical, actual cost. And when you talk to Dow [Chemical Co.] and these companies that are trying to put numbers on natural capital, they believe there will be a price on it; they believe it's coming. They're not sure how, but they believe there will be regulation. 3p: In addition to describing a hotter and more resource constrained world, you also describe a more open world--there really isn't anywhere for a company to hide anymore. Can you speak to how transparency plays into all of this? AW: Very little is hidden anymore. Everything gets captured. The data that we're collecting on all of our lives, all along the value chain in business, is growing. I talk about that in the book and give the example of the apparel supply chain, and what's different now is that the connections are easier to make. When there's a factory collapse, almost instantly everybody knows which companies have any association with that factory. Even if they're subcontractors, that comes out immediately: 'This is a Walmart subcontractor to a subcontractor," even before Walmart knows it in some cases. The next generation of workers and consumers increasingly expect to know everything about a product if they want to: What's in it? Where was it made? Who made it? Were they paid a living wage? There are just higher expectations of getting answers to those questions, and I think in business-to-business relations it's even more pointed. Companies are asking for more and more data from their suppliers and just expect it to be transparent--to be given out the world, not just to them. The way i think of it--and I may not say it as clearly in the book as I've thought about it since I wrote it--is that the transparency really is the multiplier. The mega-challenges are the climate and the resources; the transparency is just this lens over the whole thing, so there's nowhere to hide. We're not there yet, but we're getting closer and closer to much better information about every step of the way. 3p: Another thing that really struck me was your emphasis on partnerships--partnerships with government, partnerships with competitors, partnerships with advocacy organizations--relationships that many companies would otherwise never consider. Why is this crucial to the 'Big Pivot'? AW: To me it's all related. The example I use in the book that I love is Coke and Pepsi working together--just because they are known as the biggest rivals, and they've been working together for a number of years on refrigerants. When you think about it, all these things come together. There's a growing acceptance that we have a huge climate problem and a desire to find the biggest places we can reduce carbon or CO2 equivalent, so in that industry [they recognize that] refrigerants are a big problem. That comes from better data, better understanding, better science. It becomes more transparent over time as [companies] start to calculate their footprints. Then they identify and say, "Well, we need scale." That's part of the 'Big Pivot' is that it's big. We need scale to shift refrigerants, and we can't do this alone ... So we have to go find partners. That's the part of the whole story that's really optimistic. You're seeing more and more of these pretty effective partnerships come together as companies realize that there's this notion of the pre-competitive--that they can ask themselves: What are we really competing on? I think that's kind of the interesting and cool question. 3p: You also touch on the need for science-based targets. Can you speak to the difference between a the typical sustainability goals we see from companies--cut GHGs by 10 percent by 2030, reduce energy use by 20 percent by 2017, which are often arbitrary--and setting an intentional, science-based target? AM: The difference is fundamentally an internal versus external reference point. We normally set goals based on "What do we think we can do?" versus "What do we have to do based on the outside? What does the science tell us?" ... [To bring back] the equivalent of health again: Once you get that diagnosis from your doctor that you have to lose 50 pounds, you have to get your blood pressure down to reduce your heart risk, all of a sudden it doesn't really matter anymore that: "Well, I think I can lose 5 pounds." You now have to go by what the science is telling you. If you look at the PwC numbers or the McKinsey numbers, all based on IPCC, we need to get reduced carbon intensity of 6 percent a year. That adds up pretty quickly--that means that by 2020 you need to be on a path to 36 percent lower carbon intensity from here. I will say that I was surprised in putting together the PivotGoals site [a free database available online here] -- we now have the 300 biggest companies in the world in there -- that there were many companies with goals on some key issues that were aligned with science. More than I thought. It wasn't enough, but I just thought kind of anecdotally that there were very few because very few companies say specifically, "We tied this to IPCC." Some have done it, I've discovered, without really saying it publicly. When they say "we want to cut 50 or 80 percent by 2050," they're looking at the science. AW: A few things: An understanding of the mega-challenges and a sense of urgency about them; a kind of inspiration or belief that the business community can play an enormous role and profit from managing these issues. [It all boils down to] an understanding of the problem and a belief that we can make the pivot--that we have the tools and that it will be profitable for the business and for all of us in a larger sense. Third is the actual tools: the strategies and tactics that do something. That's actually most of the book. So, that's what I really hope [readers] walk away with is a to-do list: things they feel like they can walk away and do. Click here to learn more about "The Big Pivot" or to snag a copy for yourself. PivotGoals, a free database of the environmental, social, and governance targets set by the Fortune Global 500 companies, can be found here. Based in Philadelphia, Mary Mazzoni is a senior editor at TriplePundit. 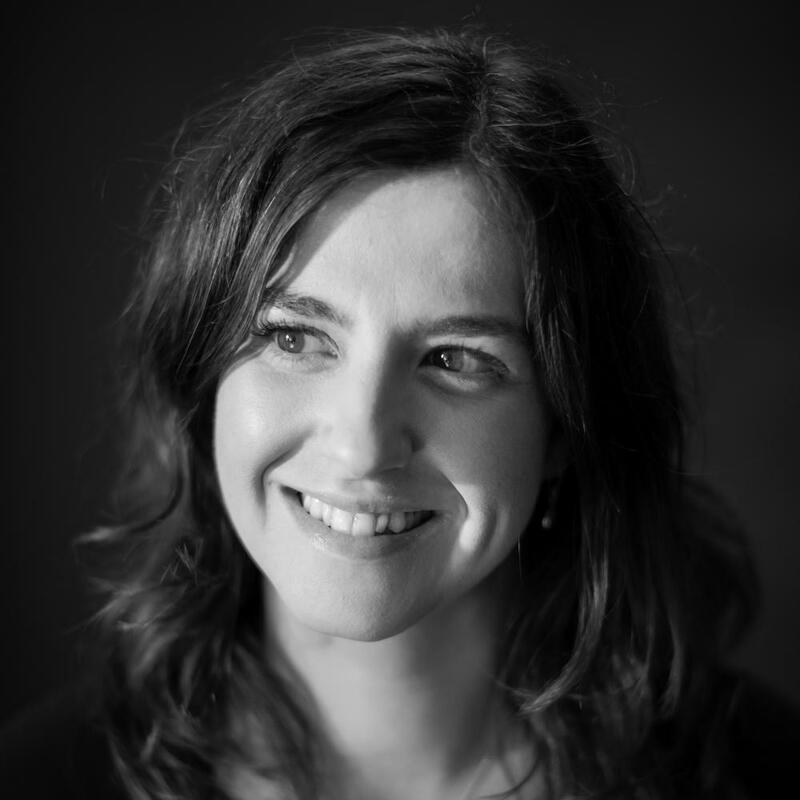 She is also a freelance journalist who frequently writes about sustainability, corporate social responsibility and clean tech. Her work has appeared in the Philadelphia Daily News, the Huffington Post, Sustainable Brands, Earth911 and the Daily Meal. You can follow her on Twitter @mary_mazzoni.